※ Fee will be required to unlock all of functions. First we will set up tables and equipment and prepare to welcome customers.The customer who ate the dishes will rate the shop depends on atmosphere and customer service. From customers who got high scores, they may pupose new kind of services such as "Manners Class", "Toy Prizes" or even "Space Choco Tasting"! If it holds, the popularity of the store also rank up! 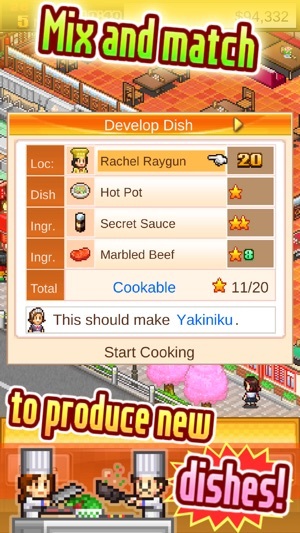 Let's raise your clerk and make delicious dishes to fill up everyone's stomach ! It is a management game with plenty of elements that can be played multiple times. 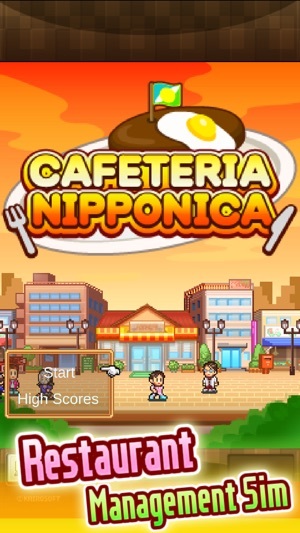 ※There is no big different from the paid version of Cafeteria Nipponica. So those who already have should recommend this to your friend. 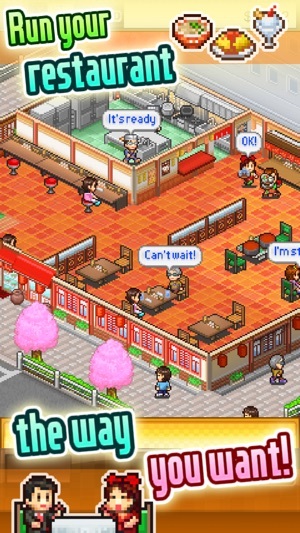 Search for other games by "Kairosoft"or http://kairopark.jp. There are plenty of free games and selling out apps that you may have played ! 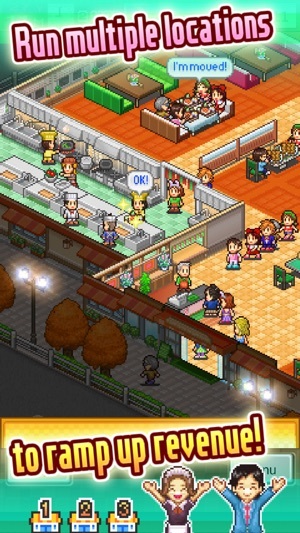 The 2D dot game series from Kairosoft. Follow our Twitter for the latest information. One of the best games I played! I’ve always been a fan of Kairosoft’s games. I’ve bought most of their English tycoon or simulator games, and I just have to say this one has definitely knocked my socks off. It’s better than my previous favorite, Game Dev Story. And I recommend all of my friends to download this game. 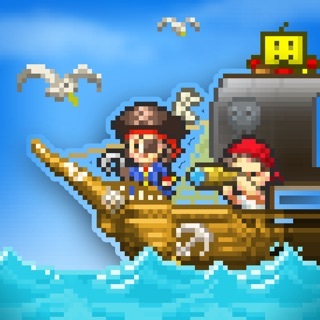 I hope you download this and have fun like I do. Bye! One of the best time-sinks! I normally hate what iOS games try and put you through, constantly nickle and diming you the whole time. With this, I get to fire it up, and negotiate a puzzle game with a deceptively simple exterior that hides so many complex dynamics and gameplay options! So much fun! 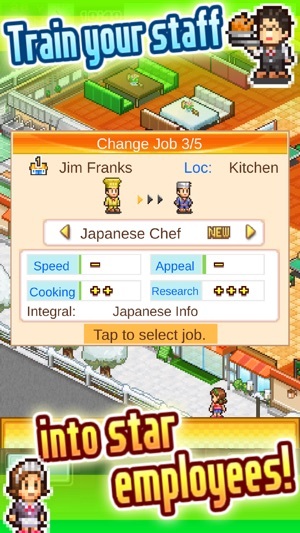 I love Kairosoft’s games!